I just came back from a week-long vacation in Thailand. I decided to go hunting on the last day. I started a new job yesterday, and this was my welcome present. A Motor Max 1:18, Porsche 996 Carrera. I’ve somehow successfully managed to get philpilihp to let me write on this blog despite never having done anything more than lurked. So I figured I’d start with a story about myself. The story of how I got into diecast cars. 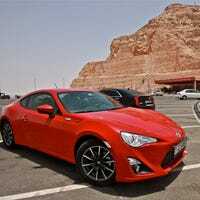 Toyota has come out and told the enthusiast world that they will NOT be building a faster GT86/FR-S. Why? Simple, there aren't enough sales to justify the investment in getting a more powerful variant approved for production.